Your Liebherr wine fridge, Liebherr wine cooler or Liebherr wine cabinet either single wine cabinet or multi temperature wine cabinet freestanding or integrated are supplied at the best prices from Cavepromotor in the UK. A Liebherr wine fridge price includes home delivery, a digital hydrometer, Filter Alert Service and for the freestanding wine fridges also installation and Vibration Reduction Blocks. We can also supply bespoke wine fridges in London and surrounding areas. N.B. Have you seen a lower price from a Liebherr dealer in the UK? Let us know where from and we will beat the price! Specialising in the Liebherr range of wine cabinets and wine fridges was an inspired choice for us at Cavepromotor. 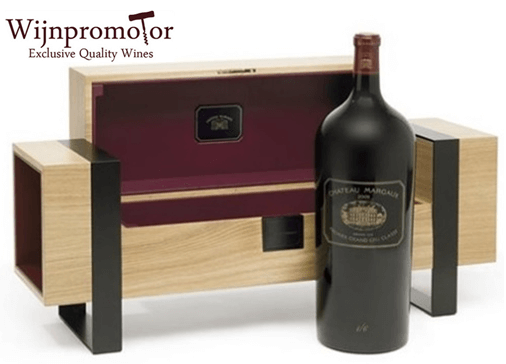 After many years of selling exclusive wines from Wijnpromotor we wanted to investigate further the storage methods people used for such expensive wine. In our research we not only looked at the quality of the cabinets, prices, delivery & after sales care but also the knowledge within the industry. In the world of wine there is often lot of misunderstanding and misinformation and it was for this reason that Cavepromotor was created. We found suppliers very keen to sell wine cabinets but when questions arose regarding correct storage conditions and serving temperatures the background knowledge required to answer about wine was not always prevalent. The correct humidity level inside a cabinet is vitally important in the storage of wine and this fact can often be ignored leading to wines being spoiled. As well as answering questions before a purchase is made we are more than happy to talk to customers and give advice or answer questions with any queries that may arise once the cabinet is in use. Over the years we have had questions regarding temperatures, storage and humidity and we are always pleased to help out with free advice as wine really is our passion. A multi-temperature and single-temperature Liebherr wine cabinet or wine fridge is delivered with Cavepromotor unique Vibration Reduction Blocks set and a digital hygrometer – Free of charge. A liebherr multi-temperature wine cabinet helps you store and service your wines. A single-temperature Liebherr wine cabinet of wine fridge is mainly used for storage. A Liebherr wine cabinet take care of the temperature but also promise adequate humidity and air quality (thanks to the active carbon filters). Vinothek (= standard) a Liebherr wine cabinet contain: wooden shelfs (except for the WKr 1811), digital display, FreshAir active carbon filter. GrandCru (= luxury) contains: the same as the Vinothek wine cabinet including LED lightning, electronic control systtem, door lock, child safety, aluminum door handle including integrated opening mechanism and clip-on labeling system. Vinidor (= extra luxury) the same as a GrandCru wine cabinet and contains: the GrandCru including electronic LCD display, dimable LED lighting, wooden shelves mounted on telescopic rails, tinted safety glass and two or three independently operation wine safes. When you buy your Liebherr wine fridge from Cavepromotor you receive a free digital hydrometer. This helps you to monitor the level of humidity within the cabinet. If it drops too low you can switch on a fan to raise it up. Our wine cabinet specialists are always available to offer advice free of charge. Environmental vibration can have a negative effect on the ripening of your wines. This will be reduced by at least 95%. When you buy the Liebherr wine fridge from Cavepromotor as you will be supplied with vibration reduction blocks. Every year you will be sent a reminder that it is time to replace the 3 active carbon filters. When purchasing a Liebherr Wine Fridge, Wine Cooler or Wine Fridge, it is essential that the Cabinet will not only fit into the desired position within your house, it also needs to be able to reach that desired location. Once the unit is deemed ‘delivered’ you will not be able to return the Wine Cabinet to Liebherr for any reason apart from malfunction. Liebherr will not exchange the unit if you have ordered the incorrect model for your needs, whether it’s for size or function. Liebherr will not collect an incorrectly ordered model and will not take any model back into stock, even if it hasn’t been switched on, purely because the outer packaging has been removed. This is because of the logistics in returning a model without any packaging, in case of damage and scratching. As you can see from the above, it is vitally important you ensure you order the correct unit for your needs, so please do check the measurements of all door frames and entrances where the Wine Fridge, Wine Cooler or Wine Cabinet would pass / enter. The location of the wine cabinet can not be underestimated. In the product information it lists dimensions when the door is open at a 90 degree angle. With the 60cm wide cabinets in particular it important you can open the door to 115 degrees to allow the shelves to pull out and also for loading and unloading of the wine. At 90 degrees the shelves could snag on the rubber door seal. With the door opened to 115 degrees you need to allow for an extra 20 - 25cm. It is not so important for the wider cabinets especially the models fitted with telescopic shelves. Abingdon-on-Thames, Accrington, Acle, Acton, Adlington, Alcester, Aldeburgh, Aldershot, Alford, Alfreton, Alnwick, Alsager, Alston, Alton, Altrincham, Amble, Ambleside, Amersham, Amesbury, Ampthill, Andover, Appleby-in-Westmorland, Arlesey, Arundel, Ashbourne, Ashburton, Ashby-de-la-Zouch, Ashby Woulds, Ashford, Ashington, Ashton-under-Lyne, Askern, Aspatria, Atherstone, Attleborough, Axbridge, Axminster, Aylesbury, Aylsham, Bacup, Bakewell, Bampton, Banbury, Barking, Barnard Castle, Barnes, Barnet, Barnoldswick, Barnsley, Barnstaple, Barrow-in-Furness, Barton-upon-Humber, Basingstoke, Batley, Battle, Bawtry, Beaconsfield, Beaminster, Bebington, Beccles, Beckenham, Bedale, Bedford, Bedworth, Belper, Bentham, Berkeley, Berkhamsted, Berwick-upon-Tweed, Beverley, Bewdley, Bexhill-on-Sea, Bexley, Bicester, Biddulph, Bideford, Biggleswade, Billericay, Billingham, Bilston, Bingham, Bingley, Birchwood, Birkenhead, Bishop Auckland, Bishop's Castle, Bishop's Stortford, Bishop's Waltham, Blackburn, Blackpool, Blackrod, Blackwater and Hawley, Blandford Forum, Bletchley and Fenny Stratford, Blyth, Bodmin, Bognor Regis, Bollington, Bolsover, Bolton, Bootle, Bordon, Boroughbridge, Boston, Bottesford, Bourne, Bournemouth, Bovey Tracey, Brackley, Bradford-on-Avon, Brading, Bradley Stoke, Bradninch, Braintree, Brampton, Brandon, Braunstone Town, Brentford, Brentwood, Bridgnorth, Bridgwater, Bridlington, Bridport, Brierfield, Brierley, Brigg, Brighouse, Brightlingsea, Brixham, Broadstairs and St Peter's, Bromborough, Bromley, Bromsgrove, Bromyard, Broseley, Brough, Broughton, Broughton-in-Furness, Bruton, Buckfastleigh, Buckingham, Bude-Stratton, Budleigh Salterton, Bulwell, Bungay, Buntingford, Burford, Burgess Hill, Burgh-le-Marsh, Burnham-on-Crouch, Burnham-on-Sea, Burnley, Burntwood, Burslem, Burton Latimer, Burton upon Trent, Bury, Bury St Edmunds, Bushey, Buxton, Caistor, Callington, Calne, Camborne, Camelford, Cannock, Canvey Island, Carnforth, Carlton Colville, Carshalton, Carterton, Castle Cary, Castleford, Chagford, Chapel-en-le-Frith, Chard, Charlbury, Chatham, Chatteris, Cheadle, Cheltenham, Chertsey, Chesham, Cheshunt, Chesterfield, Chester-le-Street, Chickerell, Chilton, Chingford, Chippenham, Chipping Campden, Chipping Norton, Chipping Sodbury, Chorley, Chorleywood, Christchurch, Chudleigh, Chulmleigh, Church Stretton, Cinderford, Cirencester, Clare, Clay Cross, Cleator Moor, Cleckheaton, Cleethorpes, Cleobury Mortimer, Clevedon, Clitheroe, Clun, Coalville, Cockermouth, Coggeshall, Colburn, Colchester, Coleford, Coleshill, Colne, Colyton, Congleton, Conisbrough, Corbridge, Corby, Corringham, Corsham, Cotgrave, Cowes, Coulsdon, Cramlington, Cranbrook, Craven Arms, Crawley, Crediton, Crewe, Crewkerne, Cricklade, Cromer, Crook, Crosby, Crowborough, Croydon, Crowland, Crowle, Cullompton, Dagenham, Dalton Town with Newton, Darley Dale, Darlington, Dartford, Dartmouth, Darwen, Daventry, Dawley, Dawlish, Deal, Denholme, Dereham, Desborough, Devizes, Dewsbury, Didcot, Dinnington St John's, Diss, Doncaster, Dorchester, Dorking, Dover, Dovercourt, Downham Market, Driffield, Droitwich Spa, Dronfield, Dudley, Dukinfield, Dulverton, Dunstable, Dunwich, Dursley, , Ealing, Earby, Earl Shilton, Earley, Easingwold, East Cowes, East Grinstead, East Ham, Eastbourne, Eastleigh, East Retford, Eastwood, Eccles, Eccleshall, Edenbridge, Edgware, Edmonton, Egremont, Elland, Ellesmere, Ellesmere Port, Elstree and Borehamwood, Emsworth, Enfield, Epping, Epsom and Ewell, Epworth, Erith, Eton, Evesham, Exmouth, Eye, Fairford, Fakenham, Falmouth, Fareham, Faringdon, Farnborough, Farnham, Faversham, Fazeley, Featherstone, Felixstowe, Ferndown, Ferryhill, Filey, Filton, Finchley, Fleet, Fleetwood, Flitwick, Folkestone, Fordbridge, Fordingbridge, Fordwich, Fowey, Framlingham, Frinton and Walton, Frodsham, Frome, Gainsborough, Garstang, Gateshead, Gillingham, Gillingham, Glastonbury, Glossop, Godalming, Godmanchester, Goole, Gorleston, Gosport, Grange-over-Sands, Grantham, Grassington, Gravesend, Grays, Great Dunmow, Great Torrington, Great Yarmouth, Greater Willington, Grimsby, Guildford, Guisborough, Hadleigh, Hailsham, Halesowen, Halesworth, Halewood, Halifax, Halstead, Haltwhistle, Redenhall with Harleston, Harlow, Harpenden, Harrogate, Harrow, Hartland, Hartlepool, Harwich, Harworth and Bircotes, Haslemere, Haslingden, Hastings, Hatfield, Hatfield, Hatherleigh, Havant, Haverhill, Hawkinge, Haxby, Hawes, Hayes, Hayle, Haywards Heath, Heanor and Loscoe, Heathfield, Hebden Royd, Hedge End, Hednesford, Hedon, Helmsley, Helston, Hemel Hempstead, Hemsworth, Hendon, Henley-in-Arden, Henley-on-Thames, Hertford, Hessle, Hetton, Hexham, Heywood, Higham Ferrers, Highbridge, Highworth, High Wycombe, Hinckley, Hingham, Hitchin, Hoddesdon, Holbeach, Holsworthy, Holt, Honiton, Horley, Horncastle, Hornsea, Hornsey, Horsforth, Horsham, Horwich, Houghton Regis, Hounslow, Howden, Huddersfield, Hungerford, Hunstanton, Huntingdon, Hyde, Hythe, Ilford, Ilfracombe, Ilkeston, Ilkley, Ilminster, Immingham, Ingleby Barwick, Ipswich, Irthlingborough, Ivybridge, Jarrow, Keighley, Kempston, Kendal, Kenilworth, Kesgrave, Keswick, Kettering, Keynsham, Kidderminster, Kidsgrove, Kimberley, King's Lynn, Kingsbridge, Kingsteignton, Kingston-upon-Thames, Kington, Kirkby-in-Ashfield, Kirkby Lonsdale, Kirkby Stephen, Kirkbymoorside, Kirkham, Kirton-in-Lindsey, Knaresborough, Knutsford, Langport, Launceston, Leatherhead, Lechlade, Ledbury, Leek, Leigh, Leighton-Linslade, Leigh-on-Sea, Leiston, Leominster, Letchworth Garden City, Lewes, Leyburn, Leyland, Leyton, Liskeard, Littlehampton, Loddon, London, Loftus, Liverpool, Long Sutton, Longridge, Longtown, Looe, Lostwithiel, Loughborough, Loughton, Louth, Lowestoft, Ludgershall, Ludlow, Luton, Lutterworth, Lydd, Lydney, Lyme Regis, Lymington, Lynton & Lynmouth, Lytchett Minster & Upton, Lytham St Annes, Mablethorpe and Sutton, Macclesfield, Madeley, Maghull, Maidenhead, Maidstone, Maldon, Malmesbury, Maltby, Malton, Malvern, Manchester, Manningtree, Mansfield, Marazion, March, Margate, Market Bosworth, Market Deeping, Market Drayton, Market Harborough, Market Rasen, Market Weighton, Marlborough, Marlow, Maryport, Masham, Matlock, Medlar with Wesham, Melksham, Meltham, Melton Mowbray, Mere, Mexborough, Middleham, Middlesbrough, Middleton, Middlewich, Midhurst, Midsomer Norton, Mildenhall, Millom, Minchinhampton, Minehead, Minster, Mirfield, Mitcham, Mitcheldean, Modbury, Morecambe, Moretonhampstead, Moreton-in-Marsh, Morley, Morpeth, Mossley, Much Wenlock, Nailsea, Nailsworth, Nantwich, Needham Market, Nelson, Neston, New Alresford, New Mills, New Milton, New Romney, Newark-on-Trent, Newbiggin-by-the-Sea, Newbury, Newcastle-under-Lyme, Newent, Newhaven, Newlyn, Newmarket, Newport, Newport, Newport Pagnell, Newquay, Newton Abbot, Newton Aycliffe, Newton-le-Willows, Normanton, North Hykeham, North Petherton, North Tawton, North Walsham, Northallerton, Northam, Northampton, Northfleet, Northleach with Eastington, Northwich, Norton-on-Derwent, Nuneaton, Oakengates, Oakham, Okehampton, Oldbury, Oldham, Ollerton and Boughton, Olney, Ongar, Orford, Ormskirk, Ossett, Oswestry, Otley, Ottery St Mary, Oundle, Paddock Wood, Padiham, Padstow, Paignton, Painswick, Partington, Patchway, Pateley Bridge, Peacehaven, Penistone, Penkridge, Penrith, Penryn, Penwortham, Penzance, Pershore, Peterlee, Petersfield, Petworth, Pickering, Plympton, Pocklington, Polegate, Pontefract, Ponteland, Poole, Porthleven, Portishead and North Weston, Portland, Potton, Poynton-with-Worth, Preesall, Prescot, Princes Risborough, Prudhoe, Pudsey, Quedgeley, Queenborough-in-Sheppey, Radstock, Ramsey, Ramsgate, Raunds, Rawtenstall, Rayleigh, Reading, Redcar, Redhill, Redruth, Reepham, Reigate, Richmond, Richmond, Ringwood, Ripley, Rochdale, Rochester, Rochford, Romford, Romsey, Ross-on-Wye, Rothbury, Rotherham, Rothwell, Rothwell, Rowley Regis, Royal Leamington Spa, Royal Tunbridge Wells, Royal Wootton Bassett, Royston, Rugby, Rugeley, Rushden, Ryde, Rye, Saffron Walden, St Austell, St Blaise, St Columb Major, St Helens, St Ives, St Just-in-Penwith, St Mawes, St Neots, Salcombe, Sale, Saltash, Sandbach, Sandhurst, Sandiacre, Sandown, Sandwich, Sandy, Sawbridgeworth, Saxmundham, Scarborough, Scunthorpe, Seaford, Seaham, Seaton, Sedbergh, Sedgefield, Selby, Selsey, Settle, Sevenoaks, Shaftesbury, Shanklin, Shefford, Shepshed, Shepton Mallet, Sherborne, Sheringham, Shifnal, Shildon, Shiraz, Shipston-on-Stour, Shirebrook, Shoreham-by-Sea, Shrewsbury, Sidmouth, Silloth, Silsden, Sittingbourne, Skegness, Skelmersdale, Skelton-in-Cleveland, Skipton, Sleaford, Slough, Smethwick, Snaith and Cowick, Snodland, Soham, Solihull, Somerton, South Brent, South Cave, South Elmsall, South Kirkby and Moorthorpe, South Molton, South Shields, South Woodham Ferrers, Southam, Southall, Southborough, Southend-on-Sea, Southgate, Southminster, Southport, Southsea, Southwell, Southwick, Southwold, Spalding, Spennymoor, Spilsby, Sprowston, Stafford, Staines-upon-Thames, Stainforth, Stalbridge, Stalham, Stalybridge, Stamford, Stanley, Stanhope, Stapleford, Staveley, Stevenage, Steyning, St Mary Cray, Stockport, Stocksbridge, Stockton-on-Tees, Stone, Stonehouse, Stony Stratford, Stotfold, Stourbridge, Stourport-on-Severn, Stowmarket, Stow-on-the-Wold, Stratford-upon-Avon, Stretford, Strood, Stroud, Sturminster Newton, Sudbury, Surbiton, Sutton, Sutton Coldfield, Swaffham, Swanage, Swanley, Swanscombe and Greenhithe, Swindon, Syston, Tadcaster, Tadley, Tamworth, Taunton, Tavistock, Teignmouth, Telscombe, Tenbury Wells, Tenterden, Tetbury, Tewkesbury, Thame, Thatcham, Thaxted, Thetford, Thirsk, Thornaby-on-Tees, Thornbury, Thorne, Thorpe St Andrew, Thrapston, Tickhill, Tidworth, Tipton, Tiverton, Todmorden, Tonbridge, Topsham, Torpoint, Torquay, Totnes, Tottenham, Totton and Eling, Tow Law, Towcester, Tring, Trowbridge, Twickenham, Tynemouth, Uckfield, Ulverston, Uppingham, Upton-upon-Severn, Uttoxeter, Uxbridge, Ventnor, Verwood, Wadebridge, Wadhurst, Wainfleet All Saints, Wallasey, Wallsend, Wallingford, Walsall, Waltham Abbey, Waltham Cross, Walthamstow, Walton-on-Thames, Wantage, Ware, Wareham, Warminster, Warrington, Warwick, Watchet, Watford, Wath-upon-Dearne, Watlington, Watton, Wellingborough, Wednesbury, Wellington, Wellington, Wells-next-the-Sea, Wem, Wembley, Wendover, West Bedlington, West Bromwich, West Ham, West Malling, West Mersea, West Tilbury, Westbury, Westerham, Westhoughton, Weston-super-Mare, Wetherby, Weybridge, Weymouth, Whaley Bridge, Whitby, Whitchurch, Whitchurch, Whitehaven, Whitehill, Whitnash, Whittlesey, Whitworth, Wickham, Wickwar, Widnes, Wigan, Wigton, Willenhall, Willesden, Wilton, Wilmslow, Wimbledon, Wimborne Minster, Wincanton, Winchcombe, Winchelsea, Windermere, Windsor, Winsford, Winslow, Winterton, Wirksworth, Wisbech, Witham, Withernsea, Witney, Wiveliscombe, Wivenhoe, Woburn, Woburn Sands, Woking, Wokingham, Wolsingham, Wolverton and Greenleys, Wood Green, Woodbridge, Woodley, Woodstock, Wooler, Workington, Worksop, Worthing, Wotton-under-Edge, Wragby, Wymondham, Yarm, Yarmouth, Yate, Yateley, Yeovil, Basildon, Bracknell, Milton Keynes, Redditch, Telford, Washington and Welwyn Garden City. You want to order a Liebherr wine fridge, but your place ain't in the overview, just let us know.